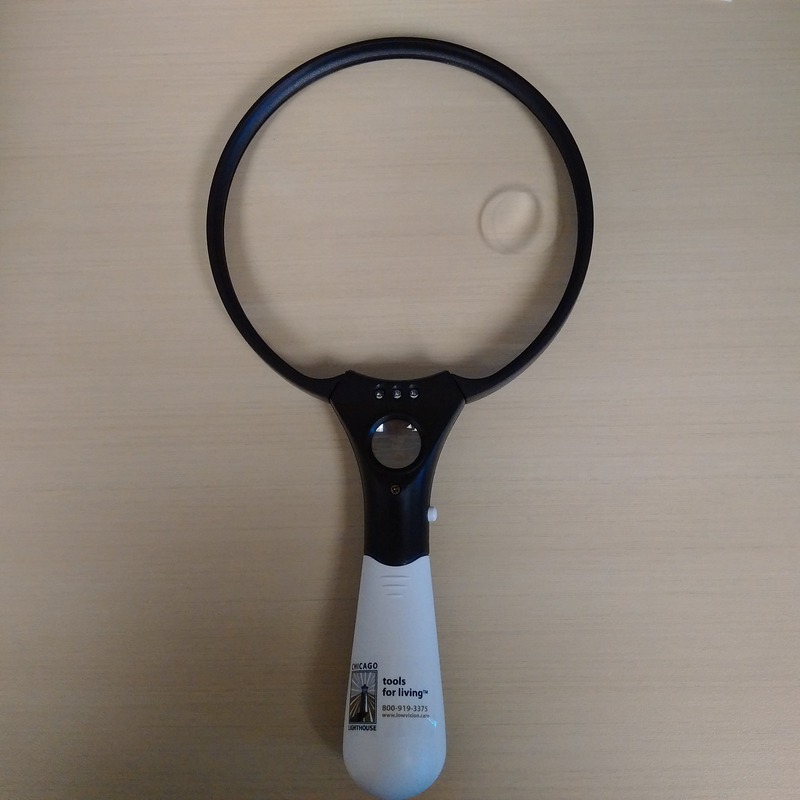 This magnifier is a good fit for people in the early stages of vision loss, with a large aperture and LED lighting to illuminate whatever you want to read. Also features two smaller higher powered apertures, one on the main lens and one on the handle. Batteries included. Please note, colors may vary. 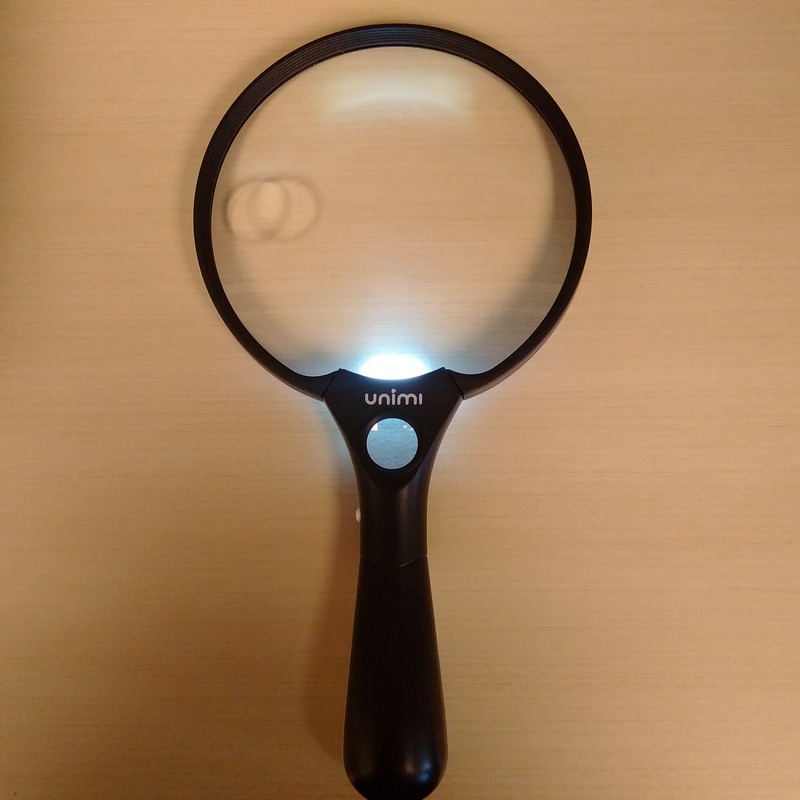 We offer a small selection of lighted optical magnifiers at low powers through our website. 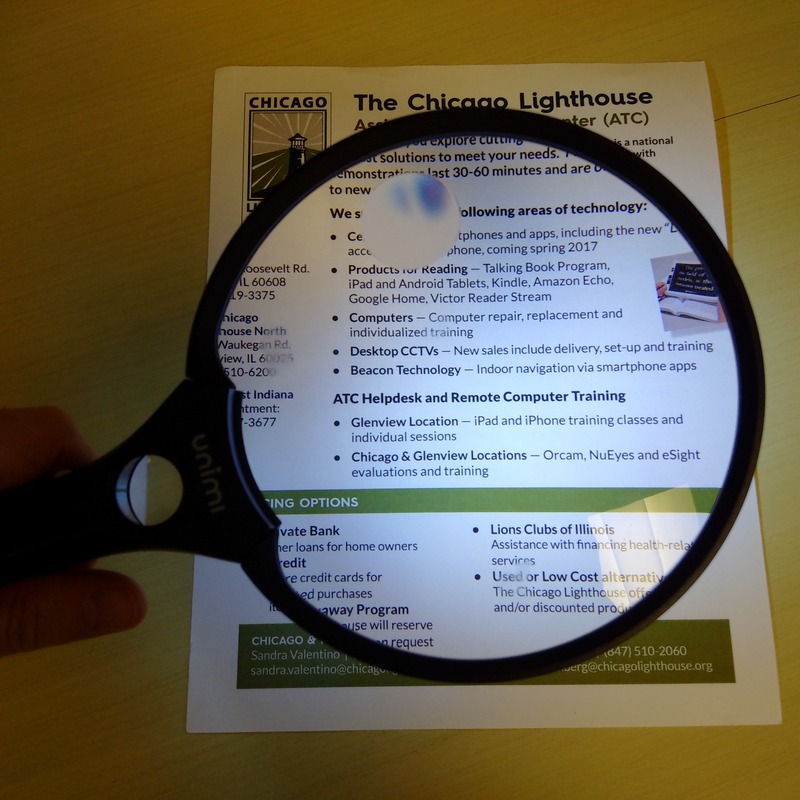 If you are interested in higher powered magnifiers, please contact us at 312-997-3672 for information on prescription magnifiers through our low vision clinic.